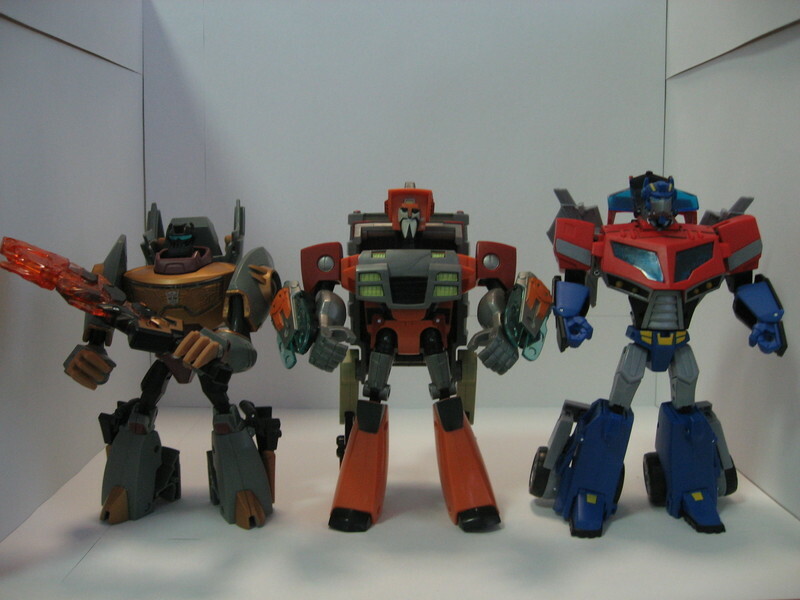 2005 Boards member koffanatic kicks off a reviews special feature with a review and images for Transformers Animated Wreck-Gar! 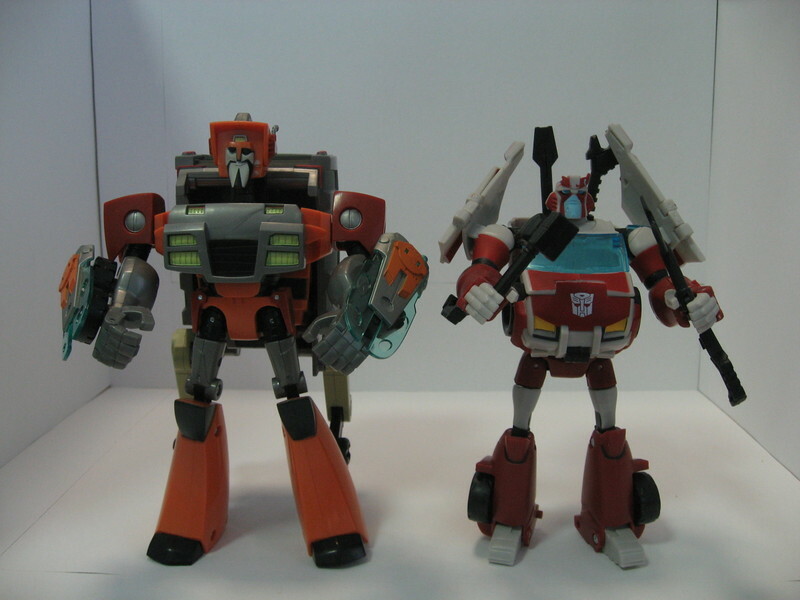 He gives an excellent step-by-step guide to the well-meaning Junkion’s transformation and coverage of the gimmicks. Check out his thoughts and images by clicking on the title to read more, and be sure to stay tuned throughout the day for more first reviews of upcoming toys! 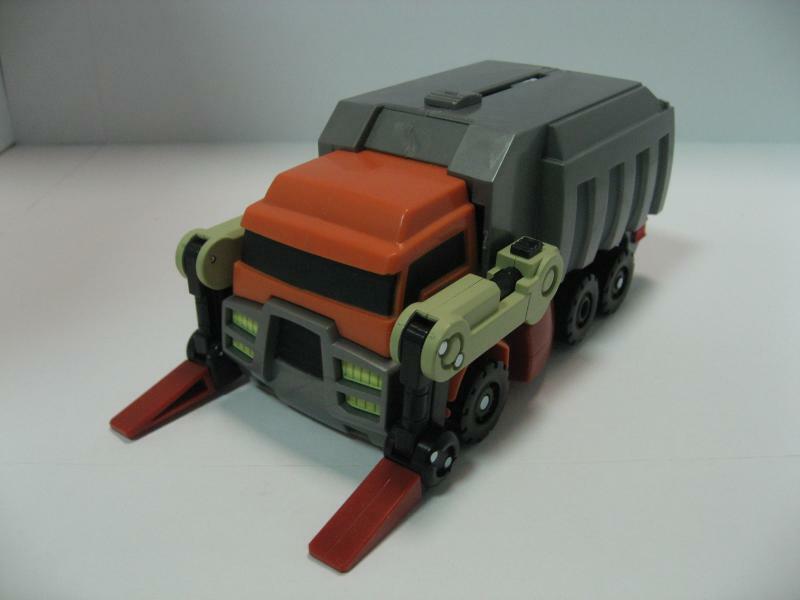 So i'm just wondering what do you guys think of Wreck-Gar? 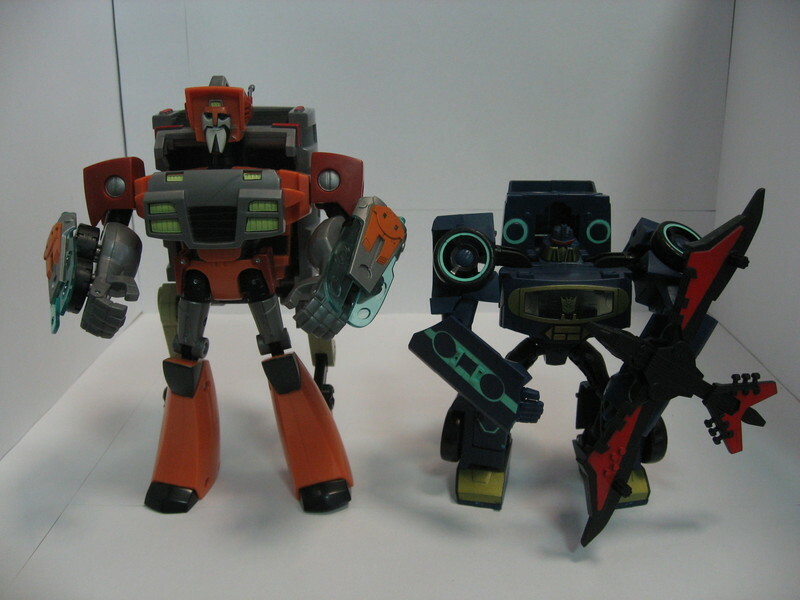 I recently picked up an Animated Wreck-Gar toy on sale for $14 bucks. I thought $14 bucks, why not? When I started to play with it I was extremely impressed. 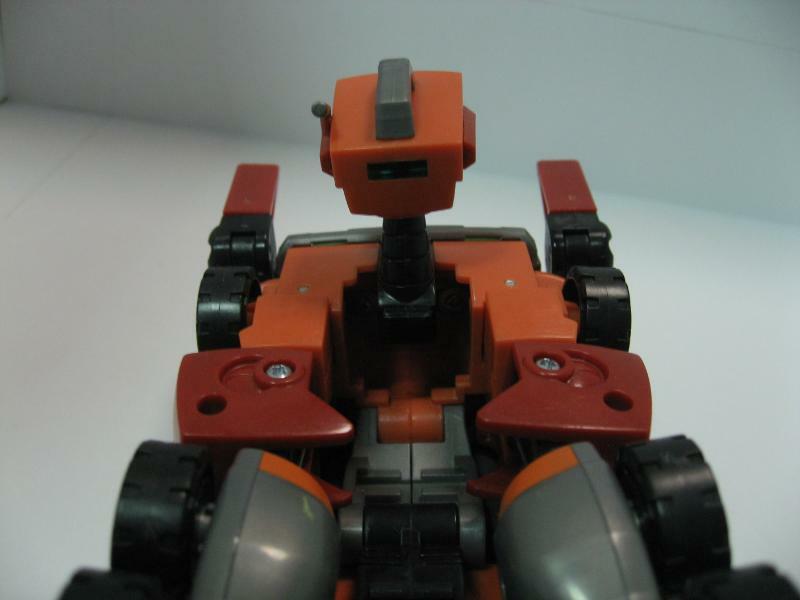 Hes got awesome paint apps, nice articulation, good likeness to the show, but lacks the ability to stand very well. 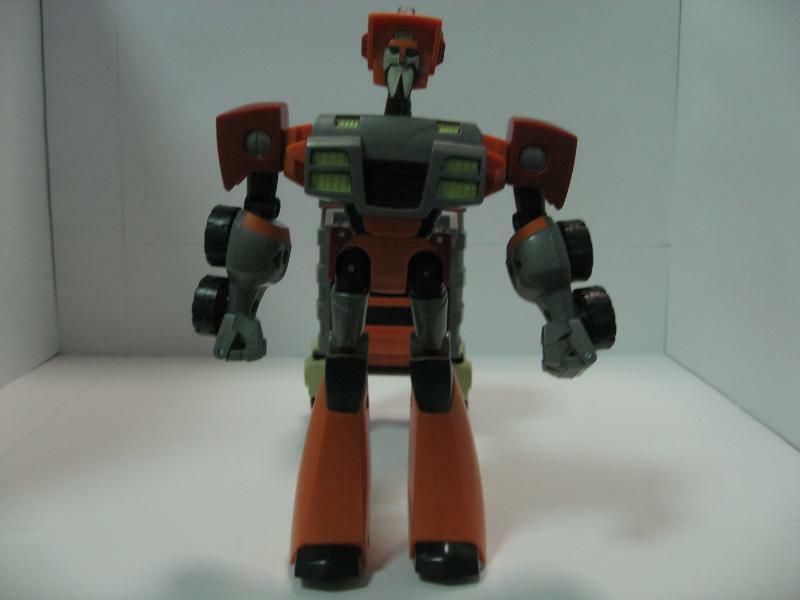 So i'm just wondering what do you guys think of Wreck-Gar? Henkei Wreck-Gar is painted glorious silver on his trash bin and chest. 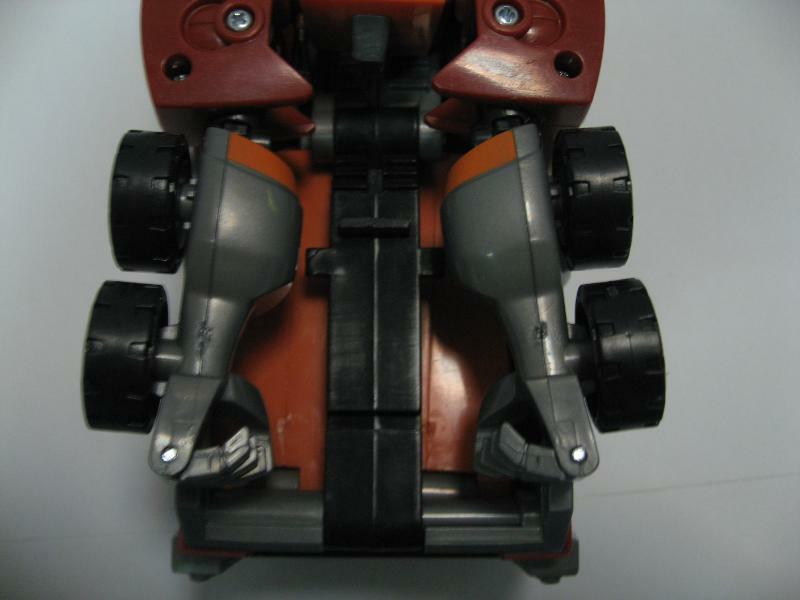 His shoulders and the red points on his trash-pickers are metallic red, as well. That's pretty much it. No chrome. Any differences between the Japanese and Western versions ? in regard to things like the arms how well it stands, chrome and other colors ? It's a pretty widespread problem so probably not worth trying to exchange it in hopes of getting an unstressed one. But if you fold those joints carefully you should be fine. Mine was stressed right out of the box and I've transformed it hundreds of times without it getting any worse. Entirely up to you though. You might have got an especially bad one if it's really that see-through. There's bound to be some photos of the problem somewhere in this thread. Have a look and compare with yours. So, I just got Wreckgar from TJMaxx, and man do his shoulders have some major stress and jaggedy edges in the orange parts that fold, almost looks like I can see the pegs throught the plastic. Anyone else have this or do I need to go back and switch him out? Now that you mention it, the forks are rather pointless, the only exist on garbage trucks with open tops because they are for lifting dumpers up and dumping their contents into the truck. The kind where the garbage is loaded into the rear have to be manually loaded by the garbage men. But what the hell, they make the toy more exciting. I actually never even thought about that before. 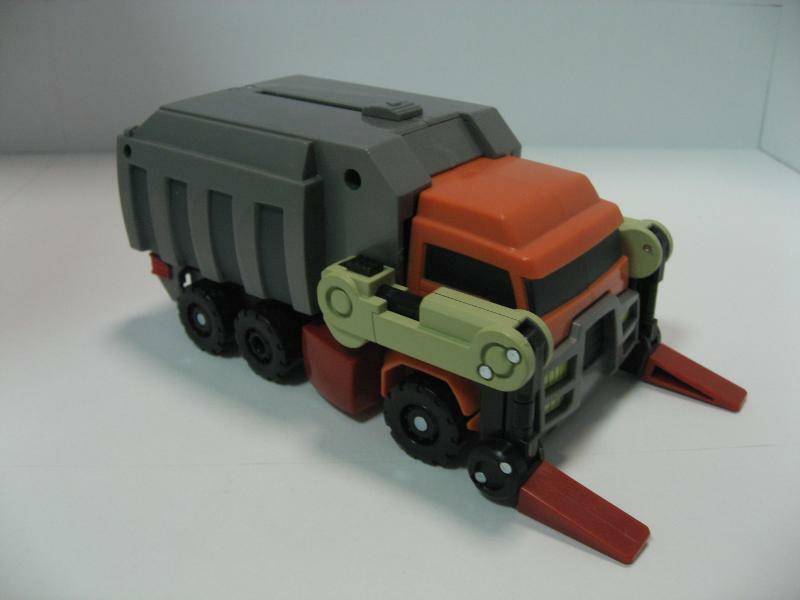 (If they had molded trash on the topside of his trailer to make it look open top it would be perfect. The fork gimmick is kinda crappy if I'm honest. I'd see the point if they lifted up, but they flick out and do so individually so it's a bit silly. 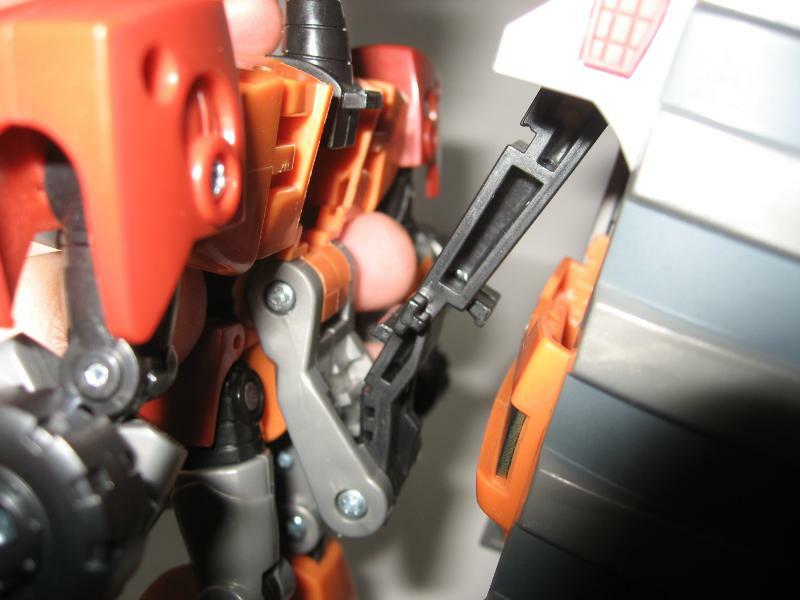 Full credit goes to Peeman for this tip, but the arm problem on Wreckgar is caused by the pins in the shoulder joint being in too tight and not having enough clearance to rotate. 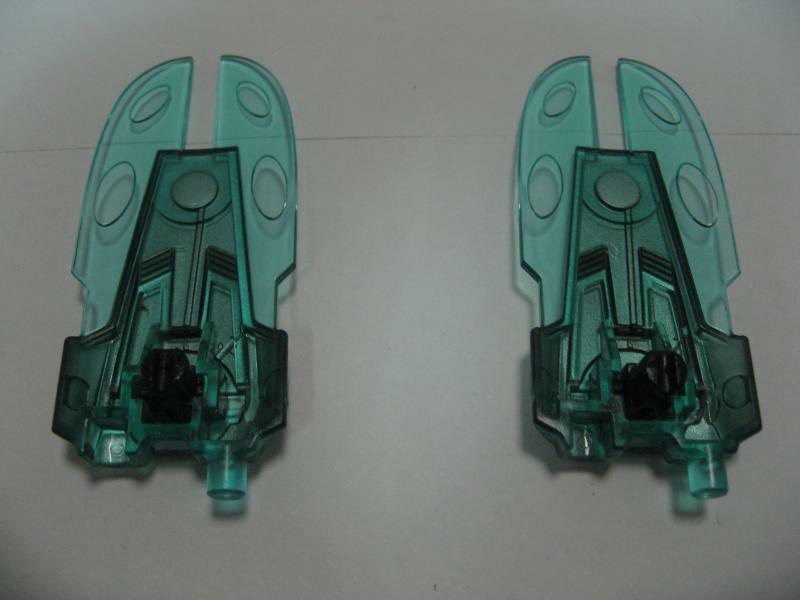 It can be fixed by removing them completely and filing a very small amount away in the hole before replacing them. While I'm here I may as well include my review. A dump truck the likes of which we don't get here in the UK. I fully agree with the playskool comments, but he is also pretty much dead on show accurate (If they had molded trash on the topside of his trailer to make it look open top it would be perfect. The fork gimmick is kinda crappy if I'm honest. I'd see the point if they lifted up, but they flick out and do so individually so it's a bit silly. Very basic and the arm fault can cause you to need to put a worrying amount of force on the truck cab in order to detatch it. After that though, it couldnt be simpler. 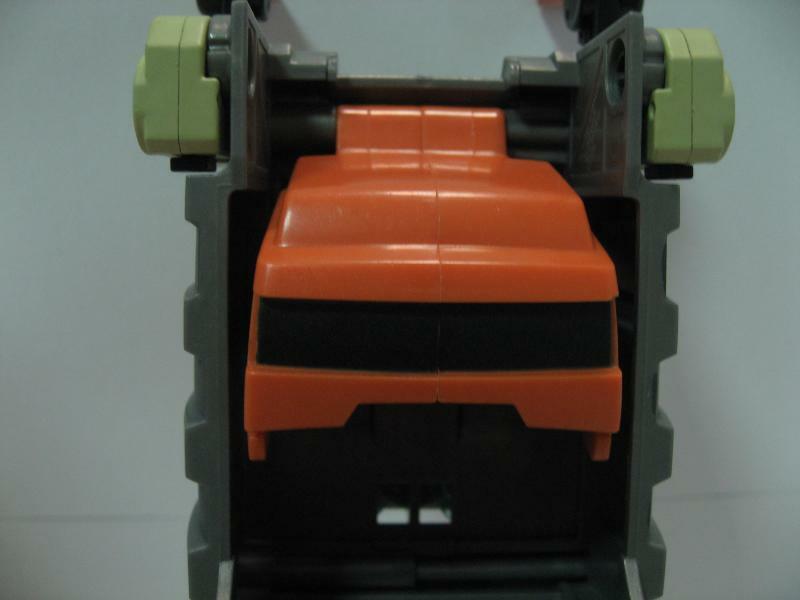 His body unfolds and the truck cab gets tucked away. I don't count this against the figure though as he is supposed to be very backpacky. Bags and bags of character in this guy. From his cheeky Wierd Al smirk to hs almost humanoid proportions. 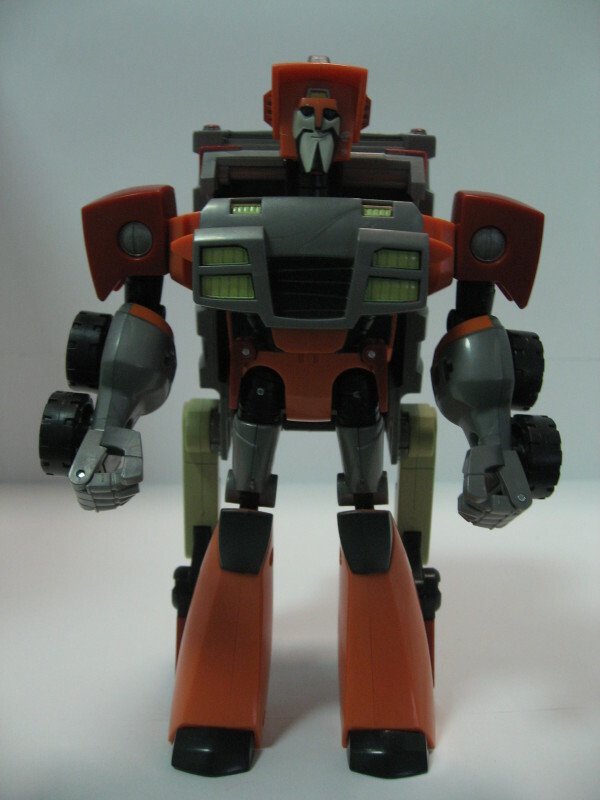 Wreck-Gar is a Transformer you simply can't take seriously, and nor should you. In the show he's not a badass. He's comic relief and the toy looks pretty much dead on. Although on mine sadly there's a black paint splodge over his left eye. He's well articulated although you can't really use his waist articulation. 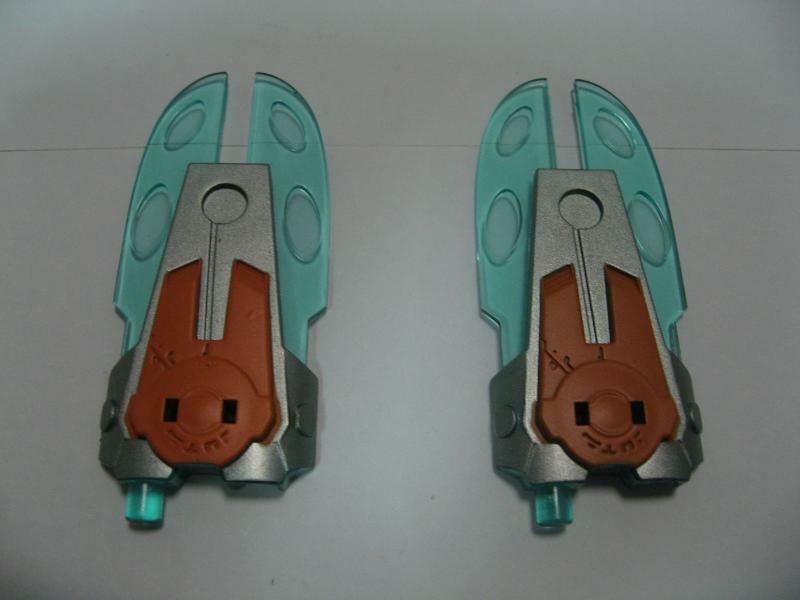 (He does have it though) He comes with futuristic scissor looking weapons that come out of his backpack. I'd rather have had him use sillier weapons, but I do like that you can have him either dual wielding or combine the weapons to make a riot shield type thing. Overall a great example of the character Animated toys have even if he's not entirely flawless. A solid 4/5 from me. 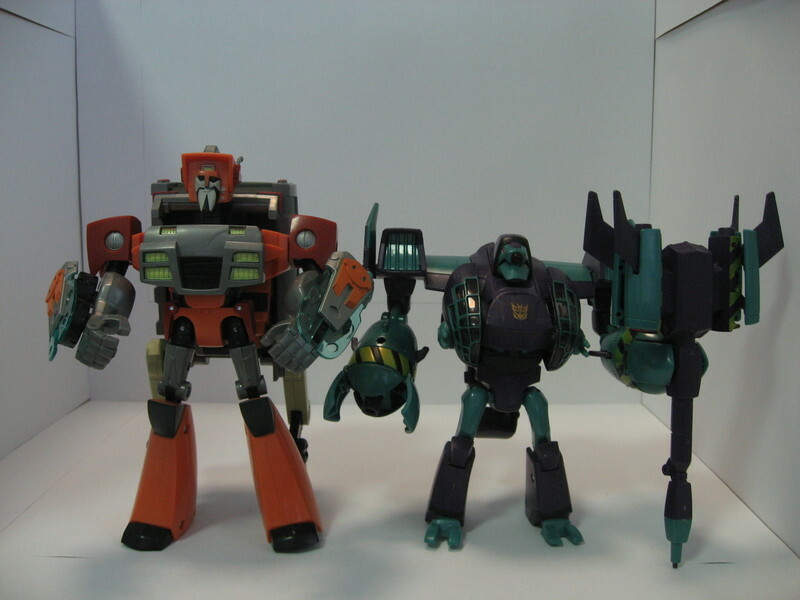 Late to the party but today Wreck-Gar joined my collection. Love the guy but there are a few gripes. The arms on mine are really floppy and don't seem to be able to support their own weight. Gonna try tightening the screws or opening the shoulders and tucking something in there before screwing them back up. 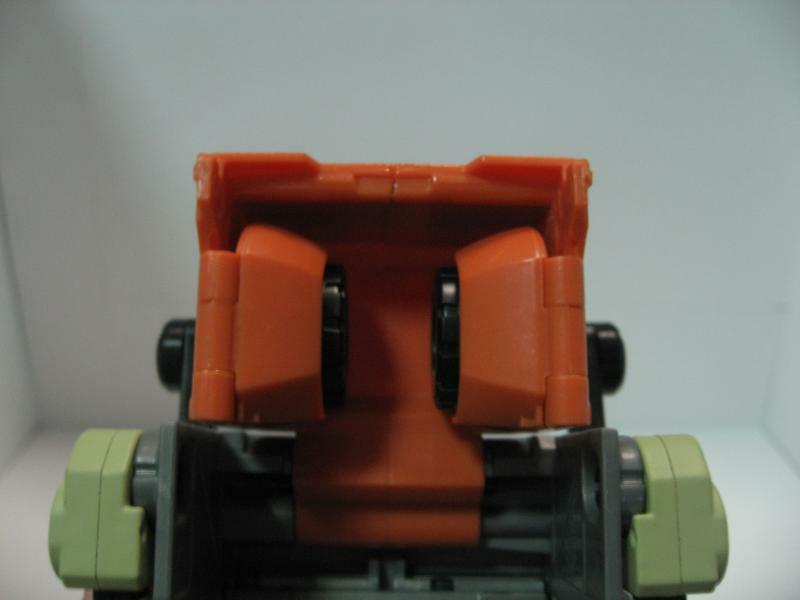 Also one of the push pegs connecting the arm to the shoulder is loose. It keeps the arm in but a slight pull on it and it slips right out. Hopefully nail polish or something will fix that. 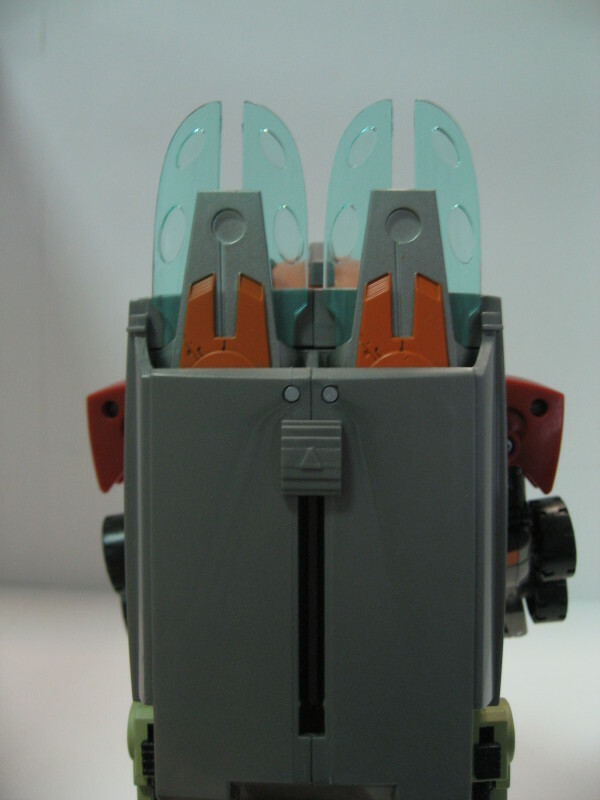 I was aware of the stress mark problem on his shoulder hinges so I was extra careful transforming them for the first time. Still had stress marks though which I'm sure were there before I even opened him. I'll just always be careful moving those so it doesn't get worse. Wasn't there some tip about using a hair dryer to remove stress marks? 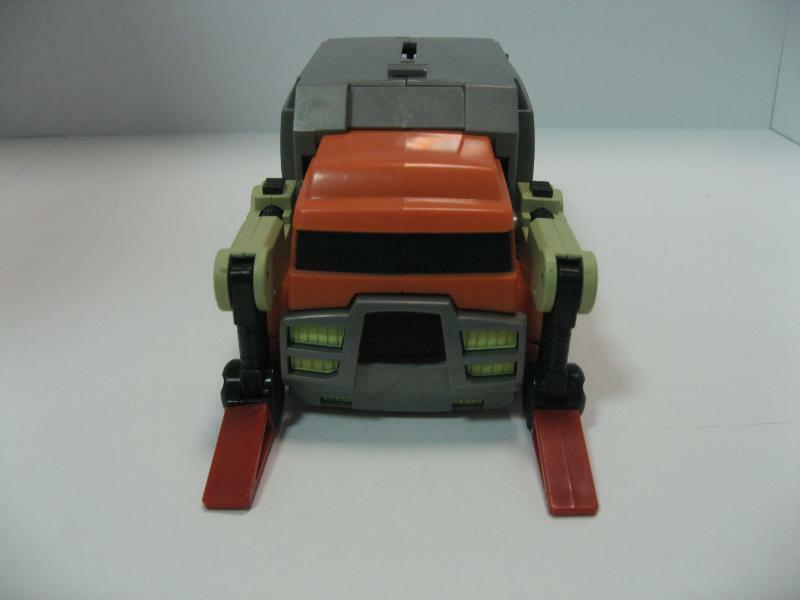 Strangely I thought the grill on his chest was a cosmetic one like Sentinel's and the alt mode grill tucked away in his backpack. Nice that the grill is the same for both modes. 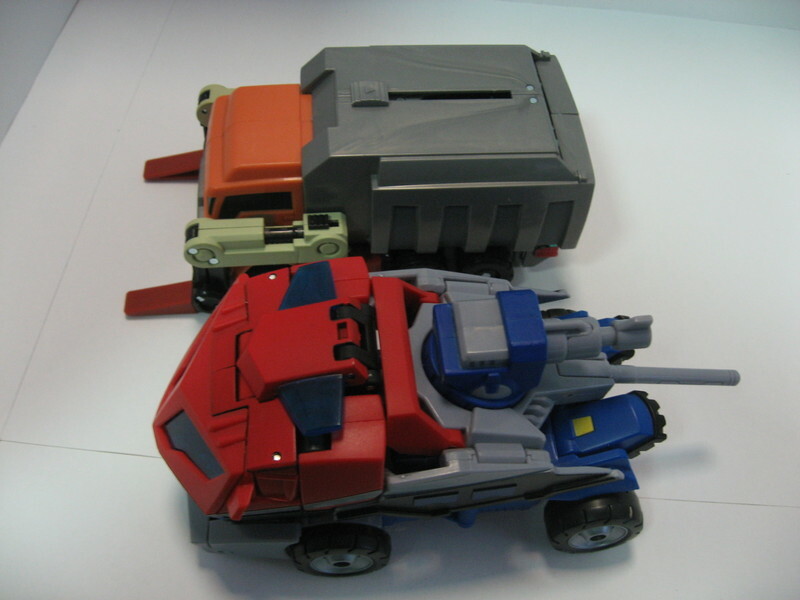 Not bothered about his shellforming ways, but I do wish something extra could've been done to make use of his backpack, even if it was just a couple of flip-around panels showing molded on junk. No balance issues with mine. The blades are okay but actual weapons don't really suit his character. Wish his forearms had a midway swivel too. 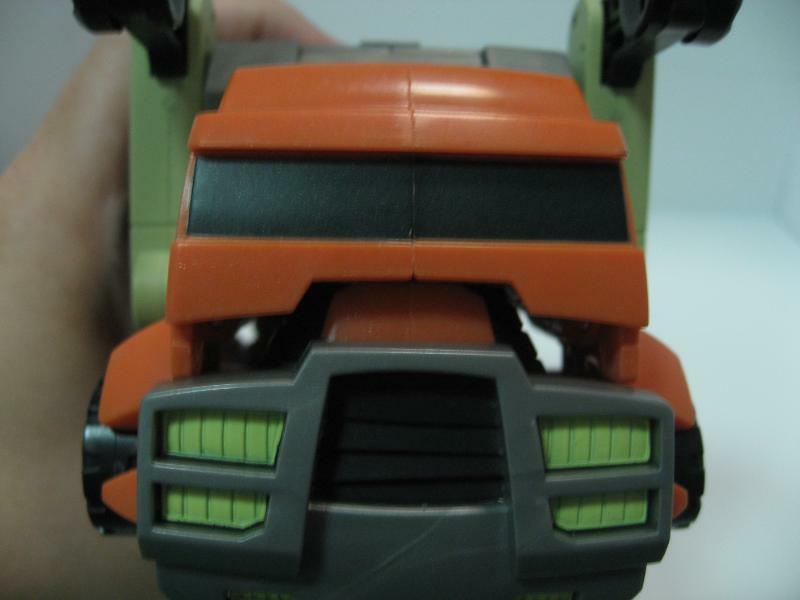 Alt mode is rather too plain for my liking. I know plain is the Animated style, but his alt looks like some Playskool toy for two year olds to happily chew on. The forks are fun though and I've enjoyed using them to flip Legends figures across the desk. So, a few problems here and there, but he's just such a little rascal that I can't help but love him. Does anyone have trouble to keep him standing? I heard his back kibble is heavy and often make him fall on his back. I do. but mine has two left foot. Or is it feet? He's not that hard to stand. The natural heroic posture of his legs sweeps them back, placing his footing slightly underneath the backpack, so he stands well enough. You'll have to compensate more for poses, though. Finally got myself a Wreck-Gar today. 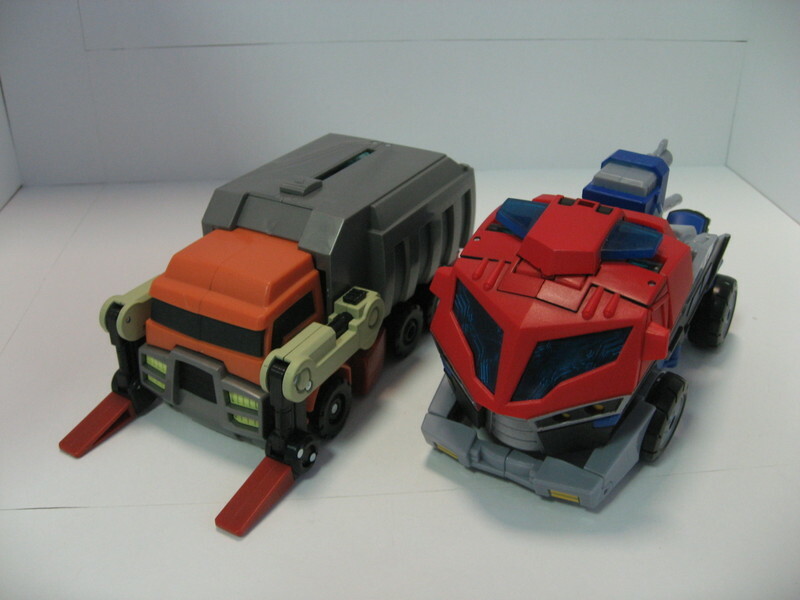 Personally I think both alt- and robot-modes look great. He has a lot of personality. I was aware his transformation was fairly simple before I bought him, but I guess I didn't realize just how simple it really was. 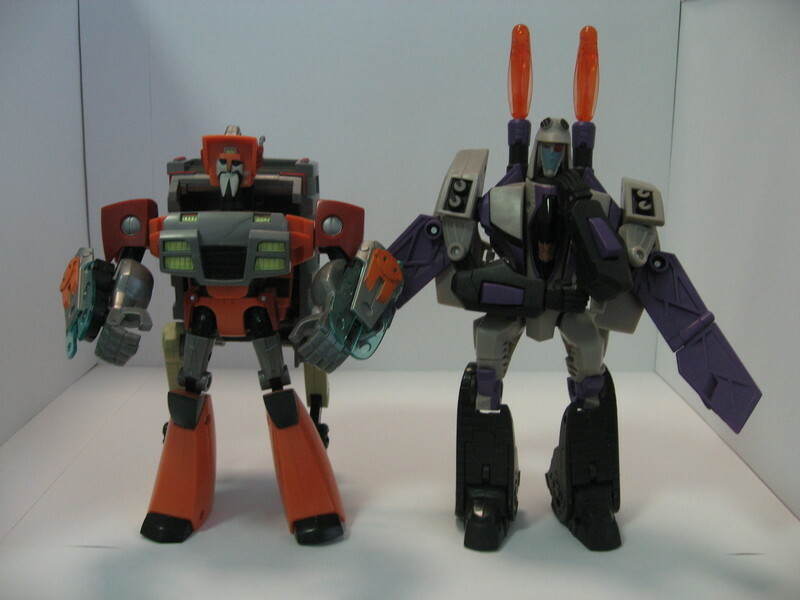 Still, the robot-mode more than makes up for this. Probably not one I'll find myself transforming back and forward much but a very welcome addition to my Animated collection none-the-less. Mine stands just fine, and in bot mode I usually just store the forks in his backpack. Just try balancing him better. Mine doesn't stand very well, and it turns out it's because he has two left feet/toes …. the black piece. The only reason I didn't exchange it is because it would've been too expensive to do so what with me living outside the U.S. and having bought the figure at a U.S. retailer. And is very minor … he can still stand without the support of the forks, but tends to fall at the slightest touch. Yup, mine too, hasn't fallen yet. And yeah, that blasted shoulder joint is a stress mark magnet. It hasn't broke yet on mine, it just seems you need to gently press down on the joint as you are transforming him to help reduce stress on the joint. Yep, Mine as well, that's odd. 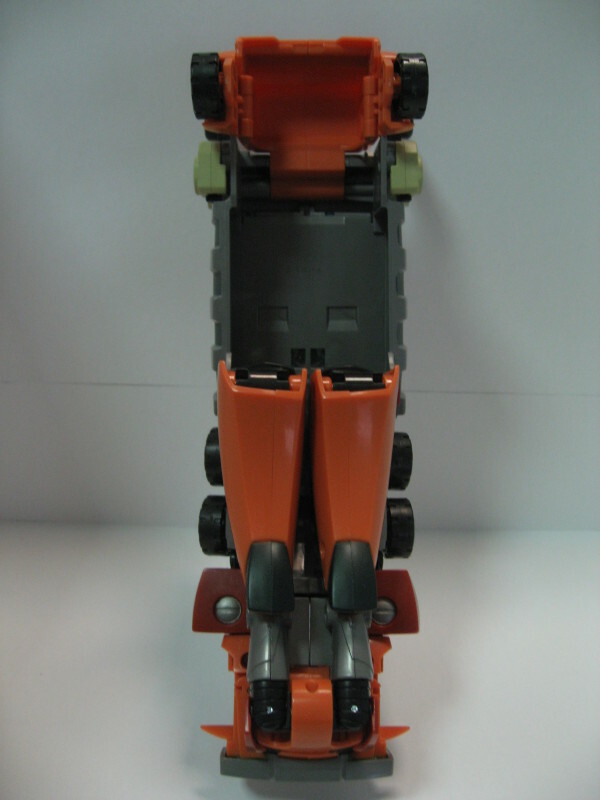 I have only transformed him once out of the box to a robot, back to truck, then robot again. Must be a problem with the mold?